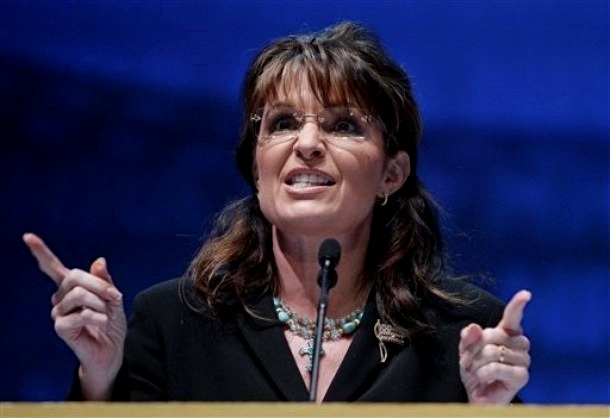 palingates: Sarah Palin - You Betcha! The trouble is that Palin has been under so much scrutiny since coming in from the cold, when she was anointed the saviour of John McCain's ailing presidential campaign, that there are no stones left for Broomfield to turn. Broomfield struggles to keep his footing on Wasilla's icy roads – a good metaphor for the film, which skates on thin ice as a journalistic endeavour. The trouble is that all the dirty laundry has already been aired, and the desire of Palin's supporters for her to run for President has been undermined. Without a Palin interview, the documentary has no meat to add to the bones. Broomfield's film has had some of its edge sanded off by the fact its target is now, effectively, neutralised, superseded by a younger model, and so discredited her getting her mitts on the keys to the White House feels a pipe dream, rather than an imminent nightmare. There's not a lot that's truly new here, and Broomfield must bulk his testimonies out with file clips. As cuttings jobs go, though, it's razor sharp. He may look like a pussycat, but Broomfield, too, is a pitbull within. Speaking of one-note: You won't find anything new in Sarah Palin - You Betcha!, in which the former Alaska governor's hometown gets punked by British documentarian Nick Broomfield. It's certainly amusing to see the residents of Wasilla baffled by the professional sleazeball filmmaker, and it's possible that his complete lack of seriousness made him less threatening to, say, Palin's parents. But there are no revelations here that will surprise anyone who reads Andrew Sullivan's blog, even if the film does manage to be less insufferable than the last Palin documentary. Just wanted to let you know I just got back from the world premier of Sarah Palin - You Betcha! It was a really well put together movie, which should really open people's eyes on Sarah! Some of the critics think that everything that needed to be aired about Sarah Palin is out there already (little do they know!). Of course, the film won't hold any surprises for the people who have been following the blogs about Sarah Palin for the past three years, but it's good to know that the documentary will reach a wider audience and generate some curiosity. Perhaps the blogs will attract more attention and more people will become aware of the real Sarah Palin that we know so well. “What she (Palin) represents, whether it’s her or Rick Perry or Michelle Bachman, it’s inherently scary because it’s irrational,” Broomfield said. Sarah may not run, but could have an important role as kingmaker in the irrational landscape of this election. We'll have to stay vigilant and keep an eye on any of them, all of them, whether they run or drop out of the race. Successful in securing the nomination or not, they do influence the political discourse and by a process of nauseating repetition, make their idiotic ideas appear normal.